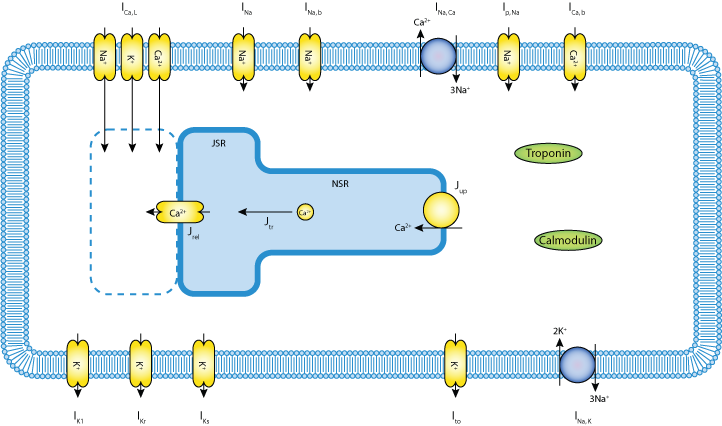 Schematic diagram of the Sakmann et al. 2000 cardiac cell model. Derived from workspace Sakmann, Spindler, Bryant, Linz, Noble, 2000 at changeset 66b82b2a5353.